This pair of coral desire earrings features an extremely delicate floral design, which makes it suitable for accentuating the feminine beauty of all its wearers. Read More..The rich hue of the coral stones embedded into this jewelry pieces exudes warmth, which makes it suitable for formal gatherings and informal social dos alike. Moreover, the brass body of the earrings nicely complements the shade of the topaz with the gold plated centre adding much to its beauty. 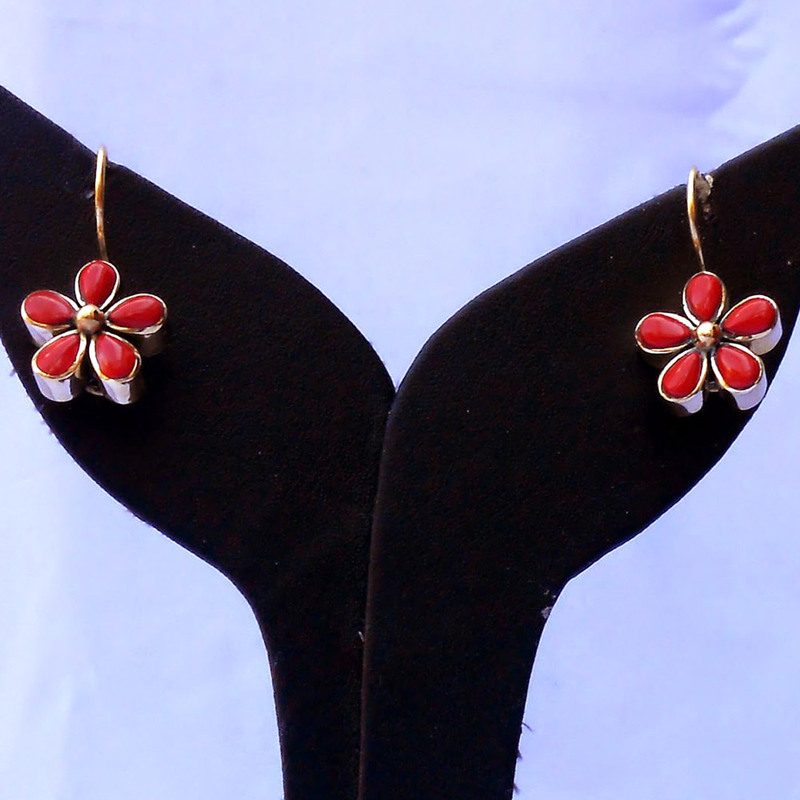 Therefore, this pair of earrings is bound to make any woman feel more beautiful through its charm. Show Less..